We have exciting news! 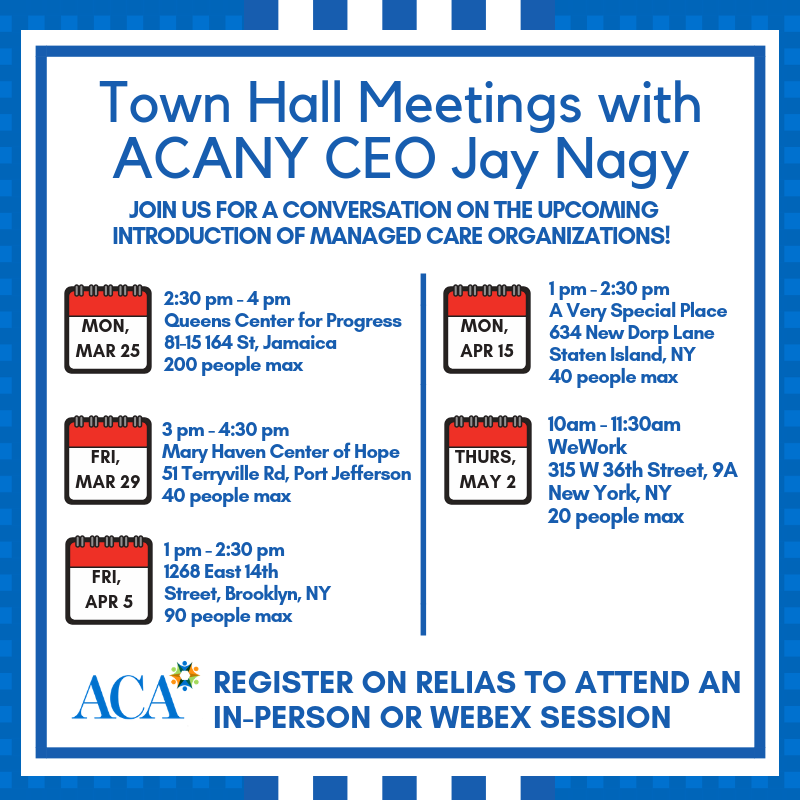 ACANY is holding a town hall series with our staff to discuss Managed Care. The town hall series format is blended: you can attend in person or view over WebEx. For those who would like to attend in person, we are in the process of securing space across the metro area and the Lower Hudson Valley so you don’t have to travel very far! The webinar and the locations are listed as separate events. Each event has a maximum number of attendees. Reservation is on a first come, first serve basis. For team members wishing to sign up for a webinar, please register online and we will send you the registration link one business day before the event. Registration for all sessions close two business days before the event to allow us time to prepare. Only confirmed dates are currently listed on Relias. We will add the additional meetings once we have secured the locations.